Would you make [Obama’s long form] birth certificate an issue if you ran? I think the public, rightfully, is still making it an issue. I don’t have a problem with that. I don’t know if I would have to bother to make it an issue ’cause I think there are enough members of the electorate who still want answers. Do you think it’s a fair question to be looking at? I think it’s a fair question, just like I think past associations and past voting record — all of that is fair game. You know, I’ve got to tell you, too: I think our campaign, the McCain/Palin campaign didn’t do a good enough job in that area. We didn’t call out Obama and some of his associates on their records and what their beliefs were and perhaps what their future plans were. And I don’t think that that was fair to voters to not have done our jobs as candidates and as a campaign to bring to light a lot of the things that now we’re seeing made manifest in the administration. I mean, truly, if your past is fair game and your kids are fair game, certainly Obama’s past should be. I mean, we want to treat men and women equally, right? Hey, you know, that’s a great point, in that weird conspiracy-theory freaky thing that people talk about that Trig isn’t my real son. And a lot of people say, “Well you need to produce his birth certificate! You need to prove that he’s your kid!” Which we have done. But yeah, so maybe we could reverse that and use the same [unintelligible]-type thinking on them. 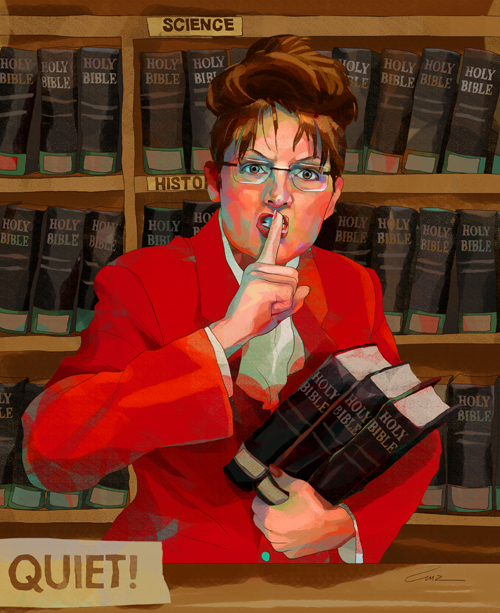 "Going Rogue" features the lies and half-truths of Sarah Palin. 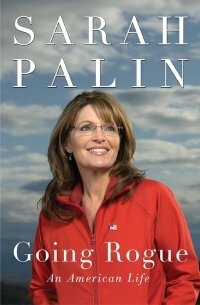 What can one say about one of the most compelling and bizarre works of “non-fiction” on the market, Going Rogue by Sarah Palin? I have to say it stymies me somewhat. Treating it as some kind of factual narrative to check (as I began to), or comparing its version of events with her previous versions of the same events (as I have), and comparing all those versions with what we know is empirical reality, is a dizzying task. The lies and truths and half-truths and the facts and non-facts are all blurred together in a pious purée of such ghastly self-serving prose that, in the end, the book can really be read only as some kind of chapter in a cheap 19th-century edition of Lives of the Saints. It is a religious book, full of myths and parables. And Sarah is fast becoming a religious icon of sorts for what is now the Republican base. On the first day of her tour, she dragged her infant with Down’s syndrome everywhere she went, even waving his hand to the crowds at one point as his little head swung back and forth. Here is the Madonna with child and a child that is an emblem of everything those who oppose abortion believe in. Sarah Palin discusses "Going Rogue" on the Oprah Winfrey Show. 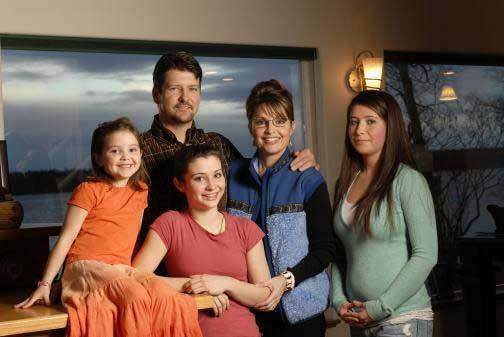 Sarah Palin, husband Todd and their three daughters, Bristol, Willow and Piper. Yet Palin should have known the campaign was aware of the pregnancy by that point: She told the campaign’s vice presidential vetters as much, in writing, far before she was chosen to be John McCain‘s running mate. 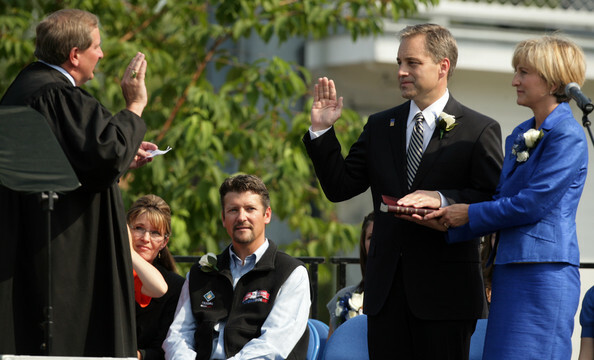 Palin and the other vice presidential short-listers were asked to fill out a written questionnaire during the vetting the process, according to a “senior official close to the vetting process” who talked to reporters on September 2nd, 2008. Palin revealed Bristol’s pregnancy on this written questionnaire, adding that she wanted to discuss the pregnancy orally with the campaign, according to the campaign official. A written report, which included info about the pregnancy, was presented to campaign manager Rick Davis as well as McCain before the campaign flew Palin down for the meeting she describes on Page 214.